A natural born leader, the Falcon can always be looked upon for clear judgment in sticky situations. Furthermore, the characteristics for this Native American animal symbol never wastes time, rather he/she strikes while the iron is hot, and takes action in what must be done. Ever persistent, and always taking the initiative, the Falcon is a gem of a personality to have for projects or team sports. The Falcon can be a little on the conceited side – but he/she is usually right in his/her opinions – so a little arrogance is understood. In a supportive environmental the Falcon "soars" in his/her ability to maintain passion and fire in relationships, and always remaining compassionate. 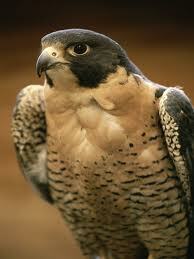 Left to his/her own devices, the Falcon can be vain, rude, intolerant, impatient, and over-sensitive.